Katariina Tirmaste is a young musician from Tallinn. 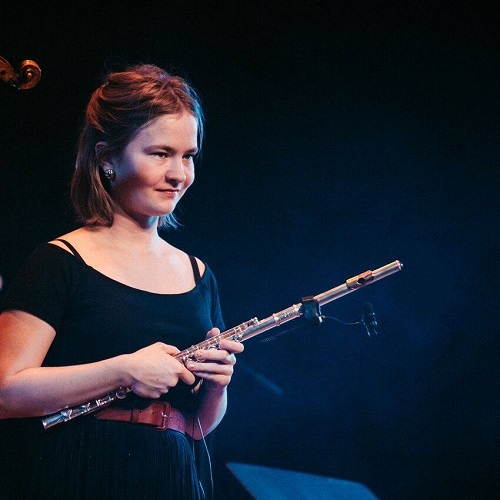 As a flutist and violinist, she is well known from many collectives (Paberits&Tirmaste, Nagy Bögö, Schönberg’s quartet). As a dance musician, she is inspired by the playing style of Estonian village fiddlers from the first half of the 20th Century. She has published a notebook with the tunes by Otto Hiiop and Kristjan Joakit and is working on another of the music of Ruhnu island. For dancers, she prefers to play alone – this way, she feels, she can achieve a better connection with the dancers and greater freedom as a musician.